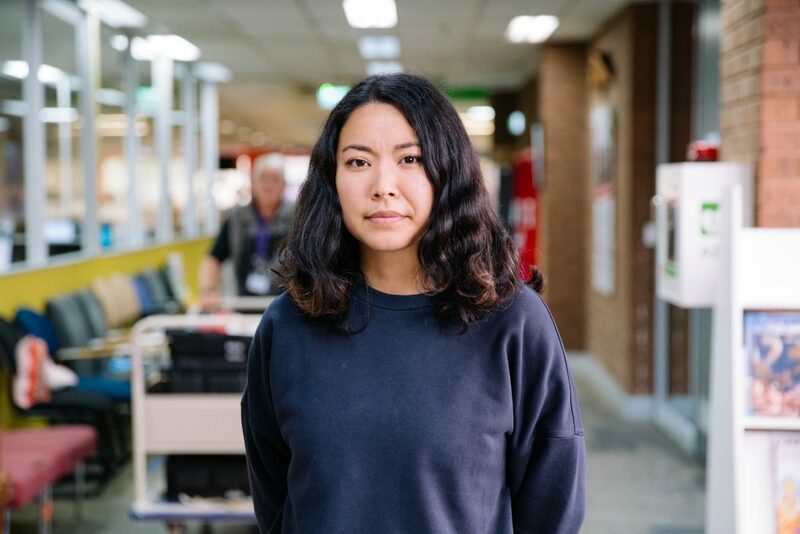 “The solution to injustice is not just charity, but to change the systems that cause that kind of need in the first place.” – Bella Week, Organising Manager at the Asylum Seeker Resource Centre (pictured above). Given the national scope and reach of the Asylum Seeker Resource Centre as it currently stands in 2019, it may seem surprising to know that it started quietly, and with a simple goal: to put a meal on the tables of people seeking asylum. However, in 18 years it has evolved significantly. The Asylum Seeker Resource Centre has expanded greatly from its humble beginnings and now meets a plethora of needs for its members. The ASRC works toward meeting the critical needs of members, like housing, access to jobs, healthcare, and legal assistance. Bella Week, the Organising Manager of the ASRC’s grassroots advocacy, argues that “the solution to injustice is not just charity, but to change the systems that cause that kind of need in the first place.” Monetary contributions from the public are essential when it comes to people seeking asylum to build a future for themselves. However, the ASRC acknowledges that, while it relies on public generosity, the safety of those in need shouldn’t be dependent upon donations, but instead be a political priority of the government. Due to this, not only does ASRC have to be responsive to Australia’s volatile political landscape but it needs to work towards creating deep change through shifting attitudes with individuals. “Sometimes something happens and you’re being reactive, it is an uphill battle where we’re just trying to stop things from getting worse. 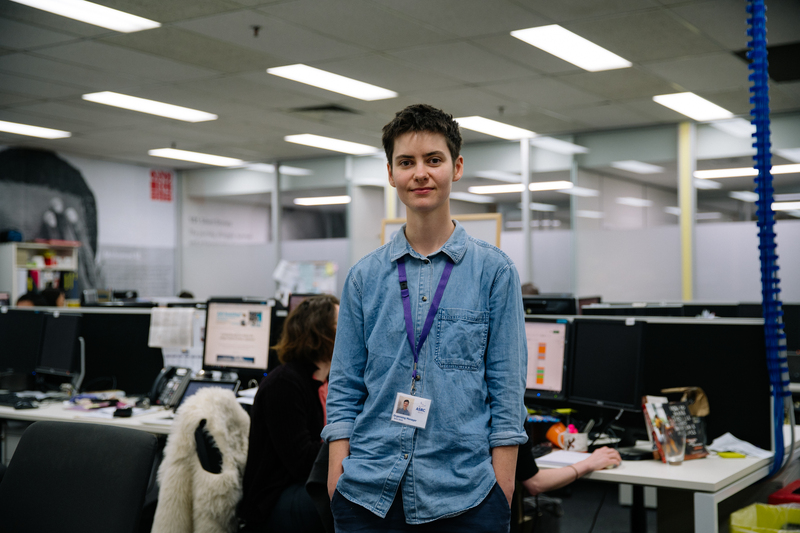 However, any powerful movement needs to go beyond the reactive and fight to win the kind of society we want, one founded on fairness and equality.” Which is why for Liyan (pictured below) and Bella, the #RightTrack is central to ASRC’s advocacy work. #RightTrack is a community organising project that focuses on shifting community attitudes at a grassroots level, peer-to-peer and supporting local community members, including people with a refugee background, to lobby their politicians. 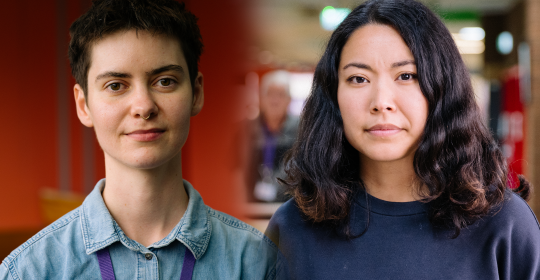 Ultimately, Bella and Liyan want to see the values and services that the ASRC carries out, embedded into our political systems and held to account by concordant public attitudes. Access to housing, education, healthcare and food, is not a privilege. These are human rights, imperatives to live comfortably, and the sort of requirements that should not depend on charities alone. A priority of the ASRC is to adjust policies as we know them and the best people to lead such changes, are those who have been directly affected by the policies: i.e. people who have sought asylum in Australia. “To do that, we mobilise communities, including members of the Freedom Network to influence lawmakers,” Bella says. The Freedom Network, an independent group established by the Asylum Seeker Resource Centre, is a collective of people seeking asylum who guide the ASRC’s organising strategy and engage in direct advocacy. Freedom Network members advocate for changes in the policies that directly affect them: meeting with MPs, writing letters, through art and attempting to work with politicians to ensure that lasting change occurs. By fostering deep change (attitudes of individuals) whilst pushing for structural change (policies of Government) our goal is to enable people seeking asylum to be resourced and empowered to rebuild their lives and thrive in the community. You can help achieve that goal by making a regular donation to the ASRC today. Regular donations allow the ASRC to power the movement for real and lasting change for people seeking asylum.